In this day and age it’s easier than ever before to find out information about someone, which can be extremely useful for employers, as long as they don’t overstep their boundaries. Hiring someone is hard enough, but hiring someone and finding out later that they’re not right for the job – or even worse dangerous to your company or employees – is even worse. That’s why it’s important to find out everything you can about a potential hire before you offer them the job. Check out their social media pages. If a candidate has their social media pages set to private, then you have to respect that, but if they’ve listed public accounts on their resume or you’ve requested to friend or follow them and they’ve accepted, then social media sites are fair game. And you can find out a lot about someone based on their social media pages, from their work history and recommendations on LinkedIn, to the types of people and companies they follow and interact with on Twitter and Google+, to the pages they like and the conversations they engage in on Facebook. Read their blogs or personal websites. Aside from social media, a lot of people today have personal blogs and websites that they use for fun or to further certain personal or professional passions. Seeing what a potential candidate has to say on their blog can tell you a lot about their personality and can be a good indicator of how they may or may not fit in with the culture of your organization. You might also learn about other sides of them that could eventually come in handy for the work you need done. Do a Google search on them. Doing a Google search on a potential candidate can turn up a lot of information that can be useful in the hiring process. From social media sites or blogs they may not have listed on their resume, to news articles praising their accomplishments, to police records they neglected to mention, you’re likely to find a plethora of important info. Check public records. Knowing that your new hire has a clean background is extremely important, especially in some industries where you have to have trustworthy employees, such as education or finance. Checking in on a candidate’s public records can reveal some useful information, such as whether they move around a lot, whether they’ve been involved in any high-profile problems, etc. Perform a professional background check on them. You can find out a lot of information about a candidate for free online, but nothing beats performing a professional background check on an employee. You might have to shell out a little bit of money for a specialized company to perform such a check, but knowing that the employee you’re hiring is 100 percent right for the position is often worth the price. Employers should keep in mind that while all of these tactics are legal, it’s always courteous to let a candidate know that you’ll be checking up on them and their history. You also have to stay within the boundaries of the law, so make sure you’re aware of what information you can and cannot legally access. Writer and content creator passionate about recruiting, job searching, social media, and everything in between. Click here to learn more. Most companies today are realizing the benefits of including more green practices in their offices and business practices. Whether they make these decisions to help the environment, save money on energy bills or to be more attractive to clientele, these companies are utilizing out with the old, in with the new practices. One of the biggest changes that companies are making revolves around their printing practices. Some companies print too much, use the wrong type of paper and use very harsh inks, which not only uses too much energy, but it also destroys plants and places harmful chemicals into the air. If your company is interested in being more eco-friendly in your printing processes, the following are some tips to help you. 1. Don’t print so much. Cutting back on overusing the printer unnecessisarily is the first thing you can do to invoke green printing policies. If you don’t have to print it, don’t. Save certain documents, notes and emails to an external hard drive if you want a back up. Rather than waste tons of ink and paper on billing or sharing information with clients, start sending files and invoices electronically. These items can easily be emailed to your clients instead of sent via USPS. Not only does the sharing of files electronically save you from using the printer, but it also provides your clients with this information instantaneously. If you must print, make sure that you print front and back to save paper. If you have pieces of paper that are only printed on one side, place them in a bin next to the printer and allow employees to use the other side of the paper if they need to print internal documents. This way, you are getting the maximum use out of your paper. 3. Print in black and white. Sticking to black and white ink is safer for the environment. Most color inks contain harmful chemicals that can have negative side effects on one’s health. Plus, choosing to print in black and white save energy. Save the color prints for those items that truly require color. There are many new paper options available today, allowing you to purchase recycled paper at a comparable price to non-recycled paper. Make sure to purchase paper that is 100% post-consumer recycled. You can also choose paper that is chlorinefree (PCF), certified by ForestStewardshipCouncil (FSC), uncoated and/or made by renewable energy sources, such as wind or solar power. You can also purchase paper that isn’t made from trees, and instead made from hemp or other organic and biodegradable product. 5. Use soy or vegetable inks. Soy or vegetable based inks are much safer for the environment. They are low in VOCs, and choosing paper under 2 is the best option for green printing. If you must use pantone colors, choose those that don’t contain copper, zinc or barium, which have nasty health benefits. If you outsource your printing, make sure you choose an eco-friendly printer. Choose companies that use alternative energy to power their plants and produce low emissions. You should also make sure that these companies use soy or vegetable inks and print on recycled or treeless paper. Even the use of waterless or digital printing are much safer than traditional methods. If you want to start making a difference in the future of the environment, opting to implement green printing practices is a great way to start. Not only will you be taking a step in the right direction for the planet, but you may even be able to save some money while doing so. Jaimie Lee writes for Appi Miami Printing Services. Worker retraining programs are vital for a healthy workforce, helping workers maintain the skills they still need while learning new ones to replace the old methods that no longer have a place in the new economy‘s growth industries. In this difficult economy, it should be no surprise that some skills should fall into obsolescence while others gain new relevance. In other cases, job training is necessary after a serious on-the-job injury. To qualify for worker retraining due to an injury, you need to be able to causally prove with medical evidence that your injury was related to your work. If a doctor assesses you as having a disability due to a work injury, you will receive workers’ compensation benefits and potentially a workers’ compensation settlement that may include retraining benefits. Workers need to be careful that they follow all rules and obligations regarding worker retraining eligibility. They also have to be diligent in their job search efforts. Your employer’s workers’ compensation would likely love to stop paying you due to not complying with the rules. Worker retraining may also be known as vocational rehabilitation. As part of the assessment process, an injured worker may meet with a vocational counselor to undergo testing on their condition and what occupations they may be able to physically to do, they may be well-suited to, or that interest them. As an injured worker, you may have a choice of retraining programs. As a worker who needs to maintain and update skills in a changing job environment, it is important to understand the retraining programs at the community colleges, adult learning facilities and employment centers in your area to ensure you don’t miss a potentially great opportunity to learn new skills. 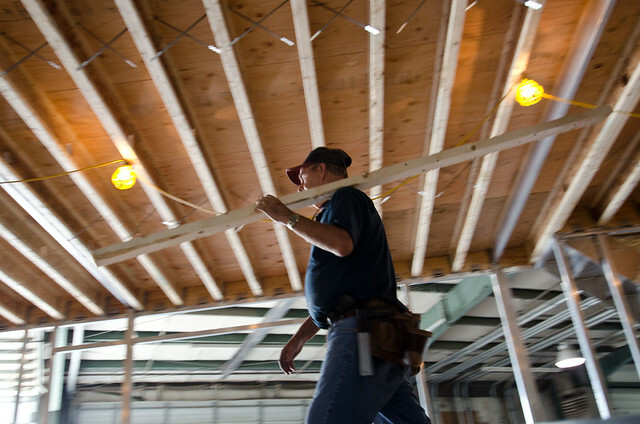 Injured workers may have rights to other benefits. They may want to apply for SSDI benefits, they may want to inquire with local disability services for those that need help, research other means of assistance online, and they should also check with their employer at the time of the injury to see if any programs are offered to help them get a job. Consulting with a workers’ compensation attorney can also be very prudent in assessing an injured workers’ rights under the law and seeking any unpaid compensation or benefits cut prematurely. Lastly, don’t think of worker retraining as a setback, think of it as a new opportunity. There may be continuing education classes not full degree programs. These programs require a smaller time commitment for a potentially rewarding career. The team at WorkersCompensationSettlements.com provided this article. At their site, you can learn more about the rights of injured workers and workers’ compensation settlements. Isaac Lamb proposed to his girlfriend, Amy, in a very innovative way, and the video has gone viral. When Isaac Lamb decided to propose to his girlfriend, Amy, he knew he wanted to do something over-the-top. but not even Amy was prepared for the elaborate proposal he staged with 60 of their closet friends and family members. The video went viral – and has already amassed almost 6 million views on YouTube at last count. The video even got Bruno Mars’ stamp of approval! Marketing is a science and an art; it also doesn’t have right and wrong answers. Marketing tactics fall into categories more like ‘things that work’ and ‘things that don’t’. Among the tactics that work is a principle called keeping the look and feel. There is a dump truck driver in Utah who does this very well. When a person thinks of a dump truck driver, they may have an image of a greasy looking man with a mug full of coke, but Mike Thatcher doesn’t fit this stereotype as he owns a business that sells landscape boulders and delivers his own product. Thatcher said that heads turn every time he is filling up on gas or walking around on the job because he doesn’t look like the typical dump truck driver. With khakis, a button up shirt and collar, many people seem to do a double take as he walks by. “A lot of people make a fuss over the fact that I dress up nice,” Thatcher said. Beyond the nice clothes Thatcher can always be spotted with his logo on his shirt and hat. He recently bought $600 worth of shirts with his logo on them; to add to ones he wears. Thatcher also has a collection of hats with his logo on the front. “I used to give hats away to customers, and I still do sometimes,” Thatcher said. Thatcher said that one of the things he tries to do in marketing is to establish a look and a feel in the company. Customers are visual. When they see a business without even really a logo, or without it shown in clear sight, they may think that represents the type of business they have. But when a look and feel of a business is established and shown in different ways, the business comes across as much more put together, as Mike Thatcher has worked hard to do. Tiffany S. Thatcher is a guest blogger and specializes in promo products. 1. Invoicing: Calculating, printing and sending invoices, and then chasing for payment if it is late can be a time consuming job. There are many companies that will handle it for you, for a percentage of each invoice. If you have a lot of invoices to handle then outsourcing could be good value for money. 2. Accounting: If you aren’t a qualified accountant, then it makes sense to let someone else handle the books for you. A good accountant can often save you money in the long term, by greatly reducing the amount of tax you pay. 3. Document storage: The amount of paperwork that the average business ends up saddled with can be spectacular. Outsourcing your document storage is a good way to stay organized and free up a lot of office space. 4. Payroll: If you have more than a handful of employees, payroll can eat up a lot of time each month. 5. Marketing: Don’t underestimate the importance of a sound marketing strategy. Investing in marketing is a good way to grow your business, and should pay for itself many times over. 6. Order fulfilment: If you have a high volume of orders to cope with, then you may save money by outsourcing packing and delivery to a specialist company. 7. Human resources: How much of your time is taken up managing schedules, holidays, new hires, and departing employees? If you don’t have a big enough office to justify a full time HR person, then perhaps outsourcing could benefit you. 8. Customer service: Instead of tying up specialist employees by having them do double-duty on the phone, consider letting them focus on their jobs, while using remote workers to manage live chat, email support, and other contact lines. 9. Web services: You run a small business because you’re an expert in your trade. If that trade is not web development or something else IT related, then you probably don’t want to be stressing about website errors or server crashes. Let a dedicated IT company handle those. 10. Training: There is sometimes an overlap between the best teachers and the best “do-ers” but not always. If your star employee doesn’t have the time, inclination, or ability to train junior team members, why not send those new starters on a training course instead. Yes, it will cost you more up-front, but in the long term you’ll end up with happier and more productive employees because of it. Outsourcing isn’t always the best option. If your company is still doing things on a small scale you might want to keep those things in-house, but there are times when it does work out cheaper and more efficient to let a specialist take over. The key to success is identifying those times. This is a guest post by James Harper on behalf of Whitefields Document Storage, specialists in document storage. Find out more here. What Does An Information Security Audit Entail? This article explores how businesses can best prepare for an information security audit, either internally or conducted by external assessors. For many people the very word audit is enough to send them into cold sweats, however if your house is in order, so to speak, there is no reason for this to be the case. An external audit is a mandatory part of becoming certified at ISO 27001 standard. Part of attaining an ISO 27001 accreditation also obliges you to carry out your own, internal audits in order to ensure that the relevant standards of compliant are continuously met in your business. What does an information security audit look like, in particular in regards to ISO 27001 certification? ISO 27001 follows a three-step auditing process, which is the norm for information security standards, as well as other processes throughout the information technology sector. These steps are clearly broken down and defined so that any issues with non-compliance can be addressed prior to the next stage in the process of ISO 27001 certification. The first stage of ISO 27001 accreditation is an auditing of your documents. This will usually entail a rather informal visit from an external assessor to go through your existing paperwork, and assist you in adding any documents you need to in order to achieve the required level of compliance. ISO 27001 contains a mixture of mandatory and optional measures. Obviously, the mandatory ones should be fully completed. Only the optional measures which are relevant to your business need be completed, however be prepared to write up more should the external auditor feel that you have not completed a certain one which would benefit your business. Once all of your documents are in order and up to date, the auditor will leave and return for stage two. This is a formal auditing of your business’ compliance to all of the mandatory guidelines, as well as your chosen optional ones, in ISO 27001. The audit will look to pick holes in your information security management system, and explore flaws which fraudsters and cyber criminals could potentially capitalise on. Take this stage for what it is, and appreciate any learning’s that come from it – you will get the opportunity to address any non-compliance. Stage three entails you carrying out any recommendations made by the external auditor, and providing evidence that these will be an on-going part of your information security processes. Once these have been completed to satisfaction, you will be awarded the ISO 27001 certification. Embrace the opportunities afforded by audits, and recognise how carrying out the necessary best practice to a high standard will leave you with nothing at all to worry about. Iso27001standard provide resources, pdfs and video tutorials to help with implementing ISO 27001.